Welcome to Chingtek UV division !! OEM / ODM are welcome !! Our website is updating to RWD (Responsive web design) now, and apologize for any inconvenience during this construction period. 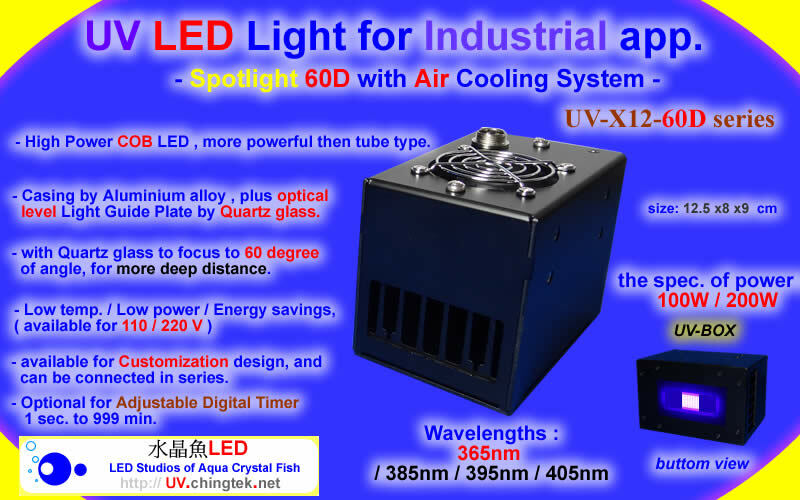 with Multi-wavelength UV LED ( 365-385nm ), Special designed for standard UV printing system. ,to replace Mercury UV Lamps. The Easiest installation Powerful High Power Board to Start UV LED Curing!The specially designed high heat dissipation,well designed for high power UV LED operation.